As soon as Steele walked on the stage there was applause, we see a twinkle in his eye and his broad smile that we have come to expect. 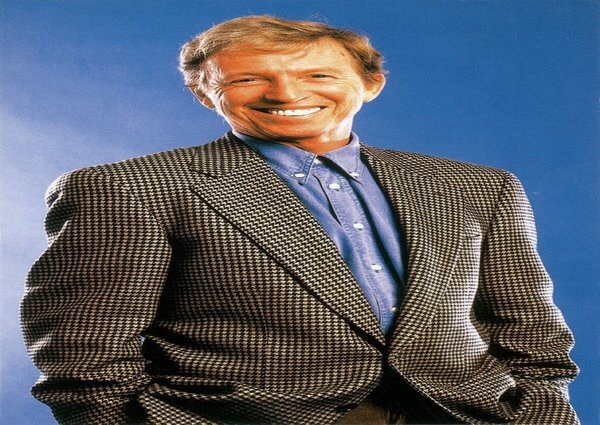 I like many of the audience I would imagine, after the performance, Google Tommy Steele’s age only to find that he is in his late 70’s and yet he stood before us upright and the national treasure he has become. With his charismatic charming personality and voice as strong as ever, this born showman was ready to entertain us. The design by Mark Bailey is amazing, simple and effective. Playing his wife Helen is Sarah Soetaert whose beautiful mellow voice equally matched Steele’s. Supported by Ashley Knight as Chummy and Mike LLoyd as Cy Shribman who were both excellent. The choreography by Bill Deamer was simply divine and absolutely perfectly in keeping with the era, bringing a feeling of authenticity to the evening and on point in every way. It was executed by the talented dancers wonderfully. This show does exactly what it says in the title. It tells you about the life of Glenn Miller a 1940’s big band leader. Who having sold 100,000 records in just one week, and being awarded the first ever gold disk, vanished with no trace at the age of 40. In 1944 he had boarded a transport plane to Paris, which disappeared over the English Channel. He was reported missing in action and was never seen again. The 16 piece orchestra did complete justice to the Glenn Miller sound and at the end of a shorter than expected show gave us a rousing medley of the famous big band sound (running time was due to be two hours forty with a twenty-minute interval however it was just shy of two hours ten). Particular highlights for me along with the medley, were Get Happy, In The Mood, Zing! Went The Strings of My Heart and Sing Sing Sing. A must see show for any lover of big band music and I guarantee you will not be disappointed if you book to see it – however don’t delay tickets are selling fast. After all when else would you see a performing veteran legend, giving an outstanding performance, telling an interesting story, with interludes of dazzling choreography, wonderful singing, fabulous set and an incredible orchestra? The press release was absolutely right this is a SPECTACULAR show lead by a true showman in TOMMY STEELE.